I've used all the top brands of harps over many years. 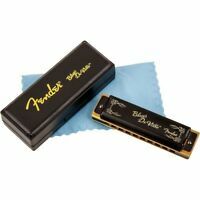 My last Horner Blues Harp cost 1/3 more and lasted around 6 months before it gave out. The Fender Harp has outlasted that one by about a year and still going strong. I'm sold. This is a great harmonica for beginners and advanced players as well. Great sound and high quality made! Highly recommend it!!! These Fender Blues DeVille Harps are outstanding! The sound is rich and the tones are incredibly. I'm a Hohner fan but these Fenders are in my opinion just as good and possibly better depending on what kind of tones and vibration you like! I like and have both but depending my mood depends on what Harp I choose to pick up . GREAT BRAND, GREAT PRODUCT!!! 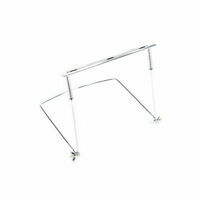 This is a high quality manufactured instrument. Plays outstanding!!! I recommend this instrument to your collection.